Huawei’s sub-brand, Honor, has already confirmed the launch of the Honor View 20 launch in India on January 29th. The upcoming flagship has been the talk of the town over the last few days for more reasons than one. To start with, it’s the first smartphone to arrive in India with a punch-hole display. That’s not it, it’ll also be India’s first phone to feature a powerful 48MP shooter. Of course, the handset also comes with a loaded spec sheet befitting a flagship. So if you are wondering what’s all the hype about, read on ahead as we take a look at the top features of the Honor View 20 which make it an imaging and performance powerhouse. 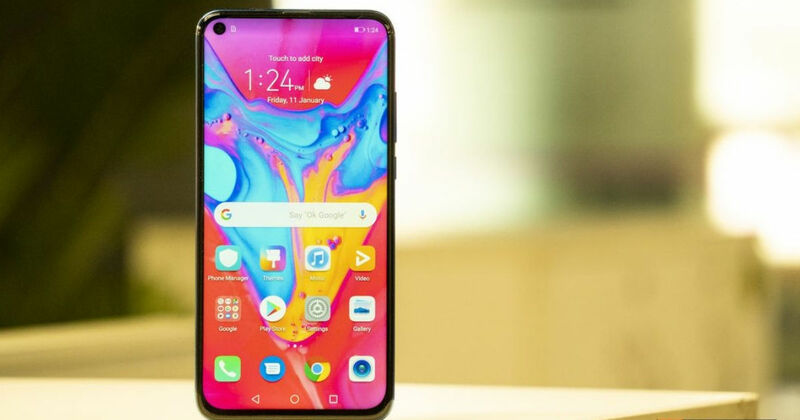 With the Honor View 20, the China-based brand earned itself the laurel of having launched the world’s first 48-megapixel camera-toting flagship. The device comes packing a 48-megapixel Sony IMX 586 CMOS sensor accompanied by a Time of Flight (ToF) 3D sensor on the back. The camera setup benefits from the Dual NPU of Kirin 980 SoC and offers multiple scene recognition, which can identify more than 1,500 categories and 60 scenarios in the AI mode. Furthermore, the camera sensor is equipped with Artificial Image Stabilisation and 4-in-1 superpixels, which aids in low-light imaging. Other imaging features of the handset include 960fps super slow motion video recording, skeletal tracking, 3D shaping and AI calorie counting using the ToF sensor. The Honor View 20 also happens to be powered by a 7nm processor — the Hisilicon Kirin 980, which is backed by dual NPU. The handset will be offered in 6GB RAM + 128GB storage and 8GB RAM + 256GB storage configurations in the country. Along with sporting a power-packed SoC, the smartphone also comes with the GPU Turbo 2.0 support, which facilitates better gaming performance by delivering higher frame rates and improved power efficiency. There’s also a new app assistant, which is designed to block any upcoming notifications and distractions during the gameplay. As mentioned above, one of the key highlights of the Kirin 980 silicon is the dual Neural Processing Unit for enabling faster AI and ML processing. This is a significant upgrade over last-generation Kirin 970 SoC, literally double to be specific, as its predecessor came with a single dedicated NPU. Apart from imaging features, the smartphone also offers AI-backed Dual-Frequency GPS for much better accuracy. That’s not all, the Artificial Intelligence capabilities are also deeply integrated into the Android-based Magic UI, which learns from the user behaviour and suggest actions based on the usage pattern. The Honor View 20 is the first smartphone in the subcontinent to come with a punch-hole display. Why’s that significant, you ask? Well, instead of the notch, the punch-hole ensures that the selfie camera is placed on a little corner on the top-left side to offer a truly immersive viewing experience. The smartphone comes with a large 6.4-inch display which bears a full HD+ resolution, resulting in crisper visuals. And the piercing on the front also houses a high-res 25-megapixel selfie camera, which is also backed by AI functionality and has the same 4-in-1 superpixels for enabling better photos in dim environments. All this packed in a unique design with aurora texture, and it’s evident why the Honor View 20 is one of the most anticipated smartphones of the recent times. The handset is slated to go on sale in India starting January 29th exclusively on Amazon. We can’t contain our excitement till its launch. What about you?